This paper blends the philosophical concepts of customer-oriented sales and servant leadership together and combines that blend with biblical principles of servanthood to propose a “serving salesperson” framework for sales. 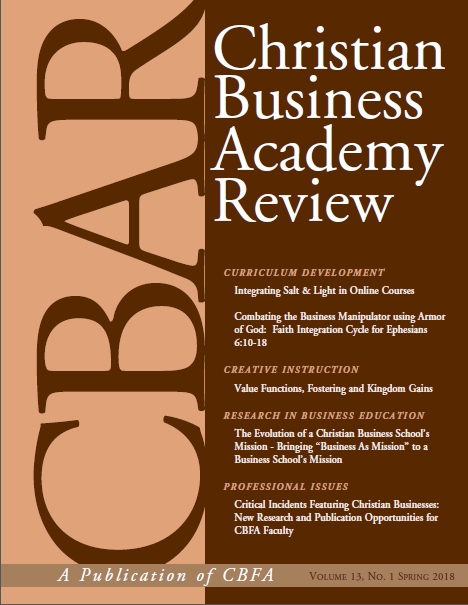 After examining the literature on customer-oriented sales and servant leadership, the paper employs the results of a qualitative survey of a sample of Christian salespeople to identify the characteristics of a “serving salesperson.” The paper then goes on to offer a set of seven practices of the serving salesperson. Biblical illustrations of each of the seven practices are then offered.